HERE WE GO AGAIN! Yep, this has got to be a Doug photo gallery -- three shots in and we have bridges. 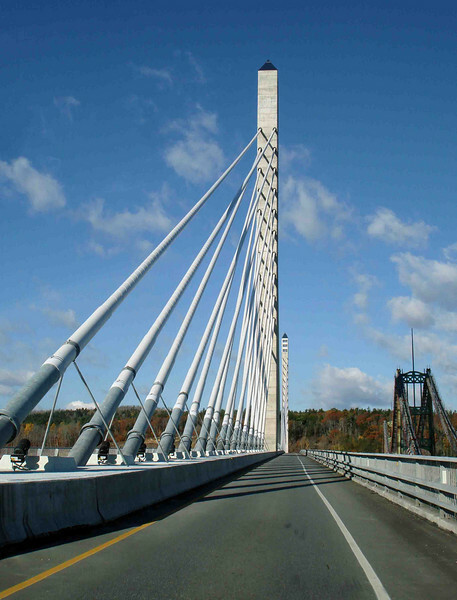 Once more, the Verona Narrows cable-stay bridge, with the old suspension bridge to the right.